A research paper by Professor Simon Marginson from the Centre for Global Higher Education at the Institute of Education published in July 2018 shows that the UK is likely to lose its position as the second most popular destination globally for international students. Recent trends suggest that the UK, which currently attracts the second highest number of international students after the much larger United States, is likely to be overtaken by Australia and will slip down to third place. In fact, data suggests this might have already happened. The report’s author used standardised UNESCO data to investigate incoming tertiary students across the most popular international student destination countries between 2011-16, and tracked trends in individual countries after 2016. So, with international student recruitment becoming all the more competitive due to an increase in courses and corporate pathway providers, and with new international markets emerging, how can you ensure your higher education institution gets more candidates? Social media has not only altered the way we communicate, but how we gather information, form opinions and make decisions - even big decisions like where to go to university. 2017’s Student Survey Report found that 82 percent of international students consult social media before making an enquiry at a university. 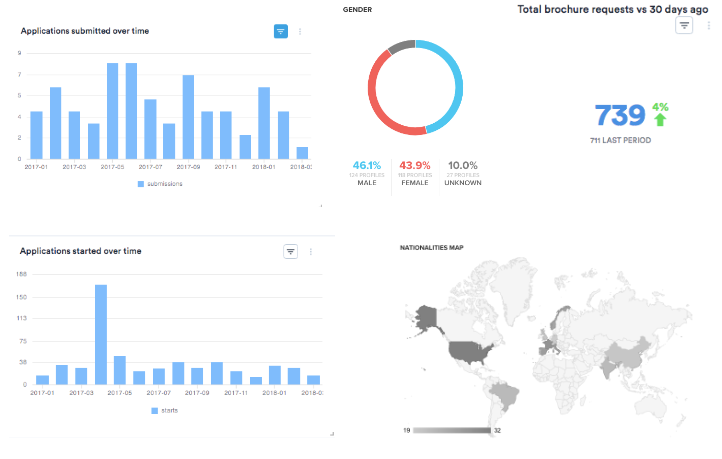 This figure reinforces the importance of engaging international candidates early on social. In a bid to appeal to an international audience through social media, many universities are adopting the #WeAreInternational hashtag, first used by the University of Sheffield. Many are also utilising video through student generated content in the form of vlogs. Young people are heavily influenced by their peers, and using a current student to explain how things work is going to be more effective than a formal presentation. University of Nottingham has created a whole series of vlogs exploring different aspects of university life, from ‘coping as an introvert’ to ‘managing your money’. Their reach is huge and collectively, the videos have had over 11,000 views. 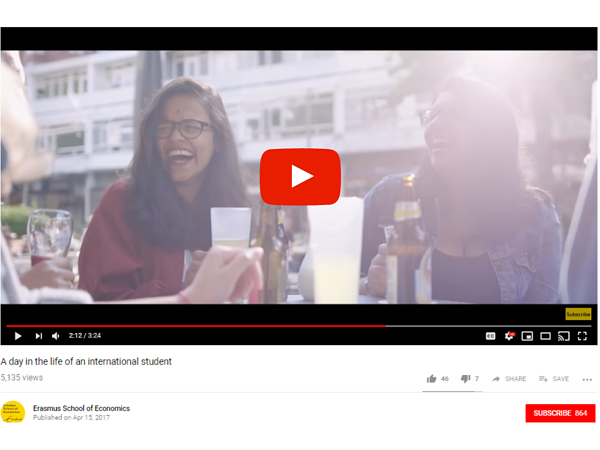 Erasmus School of Economics has created a ‘A day in the life of an international student’ video to convey what life is like on campus and in Rotterdam. Attending an open day is a great way to find out more about an institution, the courses it offers and its culture. For an international student however, it’s not always financially viable to travel to one. Webinars are one way around this. Imperial College London’s Business School have adapted their schedule of events to suit everyone. Instead of getting the students to come to them, Imperial goes to the students! Admissions staff travels to different parts of the world to host Coffee Chats where candidates can bring their CV along, find out more about the course or just have an informal chat. One-to-one sessions are also available. 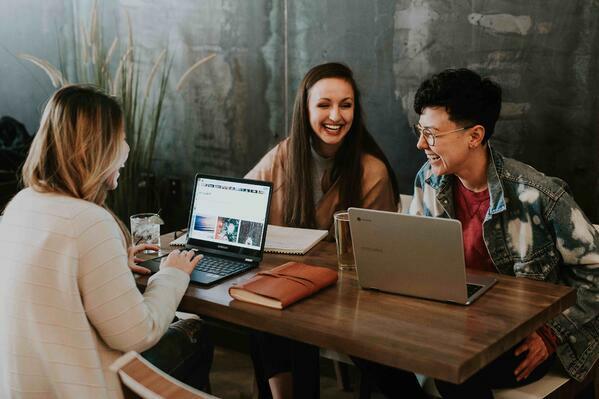 Establishing an International Students’ Committee or Network as part of your overarching student union is essential if you want to make prospective international students feel like they will be welcomed and supported. The University of Sheffield’s committee dedicated to championing international students promotes and celebrates different cultures by hosting inclusive events that anyone can participate in, such as World Week and International Food Festival. They also campaign for issues affecting international students. 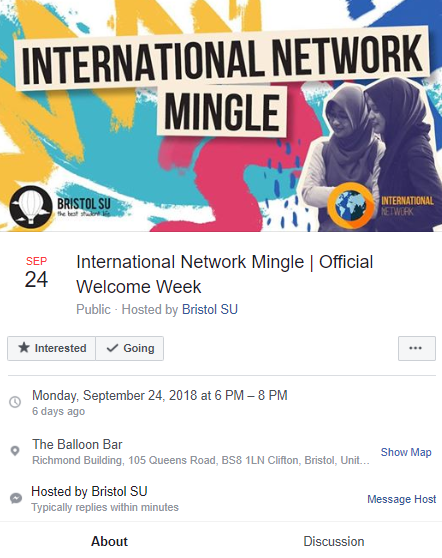 Bristol SU's International Students Network run a yearly Welcome Week Mingle, giving international candidates the chance to meet current international students and find out more about university life in an informal setting. Testimonials can also be a powerful tool for recruiting internationally. You can use testimonials and other user generated content during open days, on social media and in your prospectus, but if you want this valuable content to have longevity, consider setting up an online space through which international students can communicate why they chose your institution using a longer form, such as a blog. Emily Archer’s blog post for the University of Iowa titled ‘7 Reasons Why I Chose to Study Abroad’ has gained lots of attention and ranks high on Google when you search for ‘reasons to study abroad’. Why not try this approach in your institution too? Showing that you’ve made the effort to diversify your content for different audiences goes a long way to creating a great first impression, and it’s relatively easy to do. Give international students the option to change the language on your website and application form. As long as your CRM integrates with Google Translate, this is quick and easy to do. Use dynamic content that is tailored towards the international application journey and provide information on things like visas and deadlines. The FULL FABRIC Admissions software enables the user to select different languages. It really helps to understand the ‘big picture’ when it comes to student recruitment, and the best way to start is by creating a visual representation of your current demographics. This will make your admissions and marketing teams aware of countries with whom you have a good relationship with as well as untapped markets. Before planning your international recruitment strategy for next year, sit down with visuals first and think about who you want to target before brainstorming how you’re going to do it. Do you have a fantastic international student recruitment strategy but need the right tools to implement it? 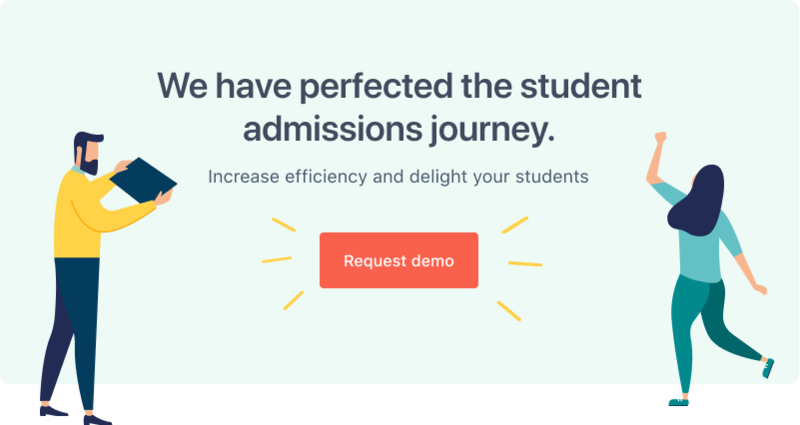 Get in touch with FULL FABRIC to find out how our admissions software can work for you.